HOUSTON–(BUSINESS WIRE)–Stewart Title commemorated 80 years of dedicated service of a living legend in the Houston business community, Stewart Morris Sr. His contributions to Stewart Title and the industry were celebrated at a private reception attended by more than 150 business and community leaders from across Texas and around the country. “Dr. Morris can be described through these four words: faith, passion, zest and generosity. He exemplifies these values every day as he touches lives here at Stewart and around the world,” said David Stutts, Senior Vice President and Chief Risk Officer. Rising through the ranks, from office boy to President and Co-Chief Executive Officer, Morris grew up in the family business, learning from his father W. C. Morris. He received his Bachelor of Arts degree from the University of Texas at Austin and his LLB degree from Southern Methodist University in 1943. The same year, he graduated from the US Navy Midshipman’s school at Columbia University and served in the Pacific during World War II. Morris, one of Houston Baptist University’s Founding Fathers, twice chairman and currently a member of the Board of Trustees of HBU, and his wife Joella were instrumental in the establishment of the university, which opened its doors in 1963. Involved in his community for more than 50 years, Morris has served as Advisory Trustee of the National Trust for Historic Preservation, Director of the Harris County Heritage Society, Galveston Historical Foundation and the Oldham Little Church Foundation, Senior Chairman at Southern National Bank, Chairman of the Carriage Museum of America and Honoree Life Trustee of the Carriage Association of America. In 1995, Morris was inducted into the Texas Business Hall of Fame. 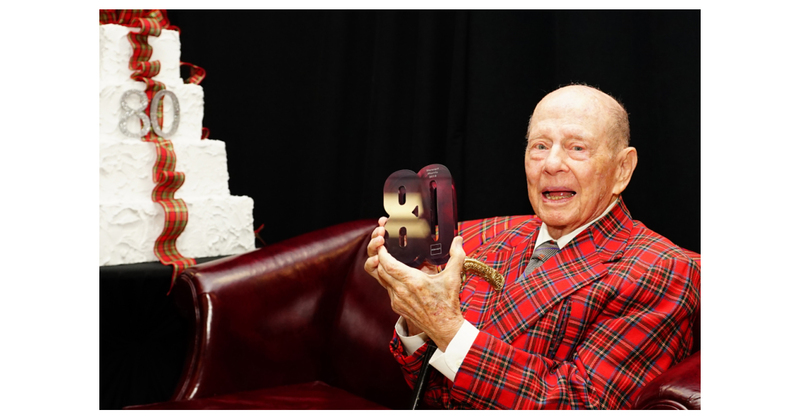 Even at 98 years old, Morris can still be found in his office, meeting, engaging with customers and motivating leaders. Stewart Information Services Corporation (NYSE-STC) is a global real estate services company, offering products and services through our direct operations, network of Stewart Trusted Providers™ and family of companies. From residential and commercial title insurance and closing and settlement services to specialized offerings for the mortgage industry, we offer the comprehensive service, deep expertise and solutions our customers need for any real estate transaction. At Stewart, we believe in building strong relationships – and these partnerships are the cornerstone of every closing, every transaction and every deal. Stewart. Real partners. Real possibilities.™ Find more information at http://www.stewart.com; subscribe to the Stewart blog at http://blog.stewart.com, or follow Stewart on Twitter®@stewarttitleco.